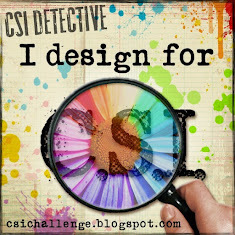 Whilst browsing in Blogland last week, I discovered the 12 Tags of 2012 challenge on the Tim Holtz blog and decided to give it a go, because I just love ALL Tim's stuff! I was too late for the May challenge, but I've managed to do June's AND catch up Feb, March, April and May. I had so much fun with these and learnt such a lot - even though I had to improvise supplies quite a bit. Tim's techniques are really clever but achievable and doing these tags has made me look at some of my stash in a new way, which is always a good thing.